The Nunavut Impact Review Board (NIRB) is an institution of public government created by the Nunavut Land Claims Agreement to assess the potential impacts of proposed development in the Nunavut Settlement Area prior to approval of the required project authorizations. Using both traditional knowledge and recognized scientific methods, the NIRB assesses the potential biophysical and socio-economic impact of proposals and will make recommendations and decisions about which projects may proceed. The Board may also establish monitoring programs for projects that have been assessed and approved to proceed. In carrying out its functions, the primary objectives of the NIRB shall be at all times to protect and promote the existing and future well‑being of the residents and communities of the Nunavut Settlement Area, and to protect the ecosystemic integrity of the Nunavut Settlement Area. The NIRB must also take into account the well‑being of residents of Canada outside the Nunavut Settlement Area. The NIRB’s mandate and authority comes from Article 12 of the Nunavut Land Claims Agreement and the Nunavut Planning and Project Assessment Act. to encourage self-reliance and the cultural and social well-being of Inuit. The NIRB has jurisdiction to conduct impact assessments on project proposals within the land and marine areas of the Nunavut Settlement Area. 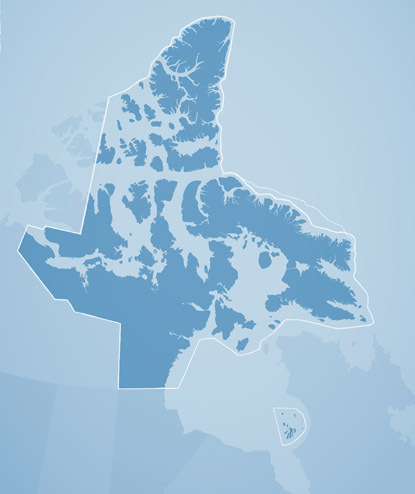 The Nunavut Settlement Area comprises approximately two million square kilometres and shares borders with the Northwest Territories, Manitoba, Nunavik Marine Region, Newfoundland and Labrador, and the Canadian Offshore. The NIRB’s jurisdiction includes the Outer Land Fast Ice Zone off of the eastern coast of Baffin Island which extends out beyond the Territorial Sea Boundary. 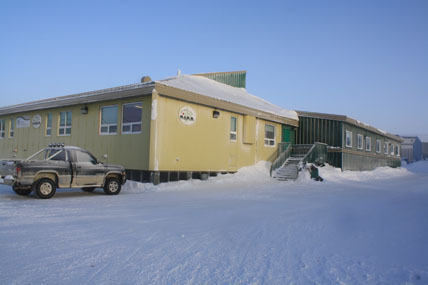 Additionally, the NIRB may upon request by Government or, with the consent of Government, upon request by a Designated Inuit Organization, review a project proposal located outside of the Nunavut Settlement Area which may have significant adverse ecosystemic or socio-economic effects on the Nunavut Settlement Area.